No fix, no fee. You pay nothing! We are specialists in recovering data from a variety of storage media including hard disk drives, solid state drives, RAID, flash storage, mobile phones and USB drives. What’s more, you don’t pay a penny unless we get your data back – we offer a free diagnostic service and technical report. Simply send us your media for data recovery and we will respond soonest with a data recovery file listing and quote. Our state-of-the-art clean room lab ensures our data recovery experts can work on your media in a contaminant-free environment. We have a library of nearly 15,000 parts to repair many different types of media, meaning we can offer a quick diagnosis. What's more, our data recovery processes are so refined - they are ISO accredited! Trusted by the World's leading organisations. If organisations such as the MOD, Siemens and UBS trust our expertise, so can you! With a 92% data recovery success rate, Hard Drive Data Recovery really do offer the best opportunity to recover your critical data. Quite frankly, if we cannot recover your data we don't think anybody else will be able to! ISO 9001 and 27001 accreditation. We are fully ISO certified, so all of our internal processes are of the highest standard. All of your data will be kept secure and safe at all times. Protected by UK information security protocols dictated by the Association of Chief Police Officers and the International Standards Organisation, your data is in safe hands! Our data recovery lab is working 24:7:365. Hard Drive Data Recovery know that timescales are critical. Every hour without your data can be costly. This is why we offer an emergency data recovery service. Send us your hard drive or media and our technicians will work towards a successful recovery from the moment it arrives. Technology is changing all the time and to maintain our high success rates we must ensure we are always ready to embrace the latest in hard drive technology. This is why we have a dedicated UK research team working on anything from virtual machines to helio-seal hard drives. You'll rarely be waiting for parts. Hard Drive Data Recovery maintain a stock library of spare hard drives with its own dedicated librarian! With nearly 15,000 cataloged parts at our disposal, unless your hard drive is very rare your data recovery won't be delayed whilst we search for parts! In today’s information age, protecting your data is more important than ever. Whether you’re a UK business or a home user, lost data can be crippling. With more than 40 years of experience under our belt, we use industry-leading technology to recover data from media including hard disk drives, solid state drives, RAID arrays, SD cards, mobile phones, tapes, and much more. If data can be stored on it, the chances are, we can recover it. As Data Recovery Specialists, you can rest assured that your case is in some of the most capable hands in the industry. Our data recovery experts lead the industry in cutting edge solutions, and we’re constantly developing new processes to keep up with new technologies. All of our technicians work from state of the art ISO Class 100 certified clean rooms, ensuring a contaminant-free environment at all times, and have access to an extensive library of parts totalling almost 15,000. Other UK companies often have to order components in on an as-and-when basis, but we employ a dedicated team to ensure our parts library is fully stocked at all times. We offer a free, no obligation data recovery analysis, after which we will provide a quote to recover the data. Should you wish to proceed, you will be kept up to speed every step of the way by a dedicated technician, and all of our recoveries are completed in a matter of days. We know that data protection and security are paramount, which is why we store your data on non-network storage disks, and our ISO27001 and ISO9001 affiliate lab accreditation means your data is completely safe with us. In addition to this, all of our services are up to standard with the Association of Chief Police Officers (ACPO) guidelines for electronic evidence, which we follow strictly. In short, you can rely on us for a high quality, secure data recovery service. To get started simply give us a call on 0800 223 0162 and our data recovery technicians will give you a guideline price. Alternatively complete the data recovery price calculator or the enquiry form. You will be led through the entire process step by step and remember, it's no obligation so you are not committing to anything by sending us your media! Last year our data recovery rate was one of the highest in the industry. Our high data recovery success rates are a measure of how effective our process and extraction tools are. Our data recovery laboratory works 24:7:365 to recover your data. Depending on the type of failure, our technicians can turn around 30% of recoveries within one day. Why would you want to pay for a quote? We offer a completely free technical diagnosis. Our laboratory completes over fifty data recovery assessments every day. 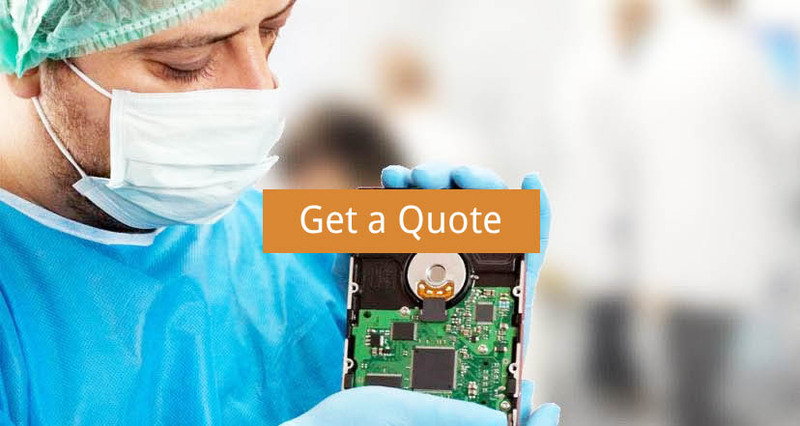 Our data recovery technicians are trained in house to our exacting standards. Every technician uses PC-3000s, class 100 clean room, UDMA software and forensic data recovery tools. We take information security seriously which is why we maintain ISO 27001. From receipt, a full audit trail for your hard drive is maintained and data stored offline under lock and key. You are placing your trust in us, so we must make sure we don't let you down. You will only have to deal with one consultant, who will keep you informed throughout the process. After calling a few data recovery companies I decided to send my hard drive to Hard Drive Data Recovery. 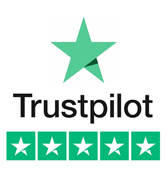 It turned out to be the right choice, as the service was outstanding and the price was within estimate. Everyone I spoke to was helpful, from the initial sales girl to the technician working on my job. Hard Drive Data Recovery were very good at every step of the way. I was kept updated at every opportunity and what the potential costs would be. The recovery was timely and the returned data was perfect. Fantastic job! I highly recommend Hard Drive Data Recovery if you are in need of data recovery services. I had an SD card fail after shooting a wedding, and when I contacted Hard Drive Data Recovery they were able to get a shipping label to me quickly. Once they received the 64GB SD card I had a call from them in just one business day with a complete file listing! The staff was super friendly and easy to work with, and I’d highly recommend them. Hard Drive Data Recovery saved the day. I shipped them my device for evaluation, and within a few days I had all of my data on a portable drive. Everyone was very professional and straightforward. I hope I don’t need to use a data recovery service again, but I would absolutely go back to Hard Drive Data Recovery again in the future. My RAID array crashed and so I researched RAID recovery companies both for capabilities and pricing. I decided on Hard Drive Data Recovery and they did a spectacular job recovering all my necessary files. I was kept up to date on what was going on constantly via email and phone calls. I would highly recommend this company for data recovery services. We have made the whole data recovery UK recovery process as simple as possible. There are no upfront costs or empty promises. Data Recovery Specialists aim to be completely transparent. You'll never be asked for payment until you have formally agreed to a quote and are happy that all your data has been recovered. Just take a look at the data recovery process below. As soon as your hard drive or media arrives, it will be photographed, bar-coded and registered on our system, before undergoing a 'triage' assessment. Much like hospital A&E, our technicians will evaluate the condition of the data and if possible attempt a recovery. Often your data can be recovered within 24 hours without further intervention. For more complex data recoveries where replacement parts are required, our continued assessment team move to the clean room. Here your hard drive is disassembled and repaired, before a raw 'image' of the source code is prepared. The data parameters are then calculated and your hard drive recovered, complete with file names and structures. Only when our data recovery technicians are completely happy with the quality of the recovery and your data has been independently verified, will we email you the file listing and quote. Of course there is no obligation and should you decide not to proceed, we will return your hard drive or media absolutely free of charge.